How can you tell if someone you know is abusing drugs? It may be difficult to notice first thing in the morning or upon return from break because the employee may appear to be relaxed and functioning well. But, as the day goes on and more time passes between breaks you may notice mood swings or major changes in energy level. They may nod off or even fall asleep at their workstation, in their car, or while using the bathroom. Withdrawal symptoms often appear to be like the flu with nausea, diarrhea, sweating, shaking, aches and a runny nose, and the employee may become irritable and anxious. This cycle may repeat itself several times throughout the day. Other signs might include the development of financial problems, social withdrawal and a once outgoing worker may become quiet and grim. What can employers do to prevent drug abuse in the workplace? Conduct pre-employment and random drug screenings (but make sure opioid screening is included). Create a clearly written Drug-Free Workplace Policy which provides employee education, supervisor training, and an employee assistance program. The problem of opioid abuse in the workplace is staggering. In Wisconsin 80% of worker’s compensation claims involve pain medications, including opioids. One good way to make sure addiction doesn’t occur in the first place is to closely monitor injured workers who are prescribed opioids by their treating doctors. For worker’s compensation cases, Involving nurse case managers after opioids are prescribed may be beneficial to assuring that drug use is monitored and treating physicians are being held accountable for the prescriptions they write. The topic for the 2017 Advanced Topics in Worker’s Compensation Symposium will be Opioid Abuse in the Workplace. For more information or to register, click here. OSHA has made some changes to how employers track work injuries that brings drug policies into question. The new final rule, passed in May of 2016 and goes into effect January 1, 2017, states that employees have a right to report work-related injuries and illnesses free from retaliation. That is to say an employer’s procedure for reporting work injuries must be reasonable and not deter or discourage employees from reporting. The concern is if an employer has a mandatory drug test following a work injury, an employee under the influence of drugs or alcohol when their work injury occurred may not report it. Interestingly, OSHA feels that this rule will prevent injuries, illnesses and death. Their thinking is that all work injuries will be reported and workplace hazards will be better identified and eliminated. This makes good sense if drugs or alcohol didn’t play an active role in the actual occurrence of injury. Of course, the exception would be drug testing following an accident for the purpose of complying with state or federal law or regulation. What Does the Expert Need to See? The bad news is that there are no hard and fast rules for what the IME expert needs to see. The good news is that you can follow some general principles to help you determine what evidence the expert should see to give you the strongest and most credible opinion possible. And when in doubt the kitchen sink approach is always an option. Despite being costly, the kitchen sink approach at least guarantees that nothing important will be left out. So if the kitchen sink approach guarantees that nothing will be left out, why not use it for every IME opinion? Two reasons mitigate against this approach. First, many doctors prefer not to see everything. Second, narrowing the scope of the records presented focuses the expert’s attention. Would this evidence impact what the doctor might say about the claims at issue? Would this evidence impact the doctor’s assessment of the examinee’s truthfulness? If you can answer both questions with an unequivocal “no” then the doctor probably does not need to see the record. If you cannot answer both questions with an unequivocal “no,” then the doctor should see the record. Examples are myriad. A doctor would probably want to see dermatology records in an examinee with a history of psoriasis and a claim involving degenerative joint disease of the lumbar spine since psoriatic arthritis would be a potential differential (and non-claim-related) diagnosis. On the other hand, a doctor would probably not want to see dermatology records in an examinee with a history of psoriasis who is making a claim involving a torn anterior cruciate ligament (“ACL”). A doctor probably would not want to see endocrinology records in an examinee with diabetes whose claim involves pulmonary injury. On the other hand, the doctor probably would want to see the endocrinology records if the claim involved nerve compression and symptoms of paresthesia in the fingers or toes. One of the most vexing questions is whether to include such records as inpatient nursing notes from a postoperative period. As the party responsible for handling the claim, you will be most knowledgeable about the claim and will have noted any relevant information in what is otherwise extraneous material. Few IME experts need to review post-operative nursing notes and the like when they contain no information relevant to the injury at issue; however, some experts such as pulmonologist and infectious disease specialists will need to see everything. When in doubt, contact your IME vendor to determine what records the doctor wants to review. This will help ensure that you are providing the doctor only with the records she wants to review, will focus her attention, and prove more cost-effective than including everything but the kitchen sink. In many claims, the file contains non-medical information. Common non-medical information includes surveillance, witness statements, job descriptions/videos, material safety data sheets (MSDSs), accident reports, expert reports (i.e., accident reconstruction reports, industrial hygiene reports, learned treatises, etc. ), and investigative reports (i.e., law enforcement, OSHA, etc.). The physician should review non-medical information that is likely to affect her assessment of causation or nature and extent of injury. Sometimes making this determination can be difficult. The physician should review witness statements that question the mechanism of injury, the severity of injury, the extent of disability, or the work-relatedness of injury. In some cases, you may want to withhold the witness statements if you intend call the witness to rebut the examinee’s claim at hearing or trial. However, withholding the witness statement runs the risk of losing a plausible basis for the IME physician to refute causation, work-relatedness, or nature and extent of injury. When determining whether to submit a witness statement to the physician you should ask whether the statement might impact the physician’s opinion on cause, relatedness, or nature and extent. If the answer is ‘yes,’ then they physician should see the statement. The exception (assuming that you have no other strategic reason for holding the witness statement back) is if there will be evidentiary problems with the witness statement at hearing. Specifically, you may not want to submit a witness statement to a physician if you cannot produce the witness at hearing or trial to authenticate the statement. If you cannot produce the witness at hearing or trial, the physician would be relying on inadmissible hearsay (absent an exception) to form her opinion and the trier of fact would most likely strike any portion of her report that relies on inadmissible hearsay. While this is less of a problem in liability cases than in worker’s compensation cases because the discovery is more extensive, you should still be careful to ensure that what you submit will not make the doctor’s opinion in part inadmissible. IME physicians often review job descriptions and videos. At first blush this makes sense in cases involving occupational/ repetitive motion injuries or where the mechanism of an accidental injury is disputed. However, not all job descriptions and videos are created equal. Before incurring the cost of having an IME physician review a job description or video, you should determine if the materials will add any value to the physician’s opinion. The job description or video should be specific, accurate, and complete. A job description that is written in nonspecific, generic terms will likely be of little persuasive value to either the doctor or the trier of fact. The job description or video needs to articulate or demonstrate exactly what the examinee does, for how long the examinee does it, and how physically demanding the task is. For example, if an examinee lifts a product off of a conveyor belt and places it on a cart, the physician should know the weight of the objects being lifted, the frequency that the objects are lifted, the height of the conveyor belt, the distance the person has to reach, the distance the person has to travel to get to the cart, the height of the cart, etc. If the physician does not know this information any opinion based on a job description or video will not be persuasive. Another problem that arises in non-medical reports is whether the report adds anything substantive to the doctor’s opinion. For example, law enforcement motor vehicle accident reports are notoriously vague and imprecise in accidents that do not involve serious physical injury. Even the severity of damages section is of dubious value because the categories are vague, the meaning of each category is unclear, and the assessment is based entirely on the subjective opinion of the officer preparing the report. Determining whether to have the IME expert view surveillance footage, photographs, or reports can be vexing. The main issue is whether withholding the footage to maintain the element of surprise at trial outweighs the benefits to the IME expert’s opinion of incorporating the surveillance into her report. A less common but no less significant issue is whether the surveillance footage will actually help the case. In the best case scenario, surveillance provides inculpatory evidence or the “gotcha” moment that will turn the case from marginal to a winner. So should you hold the information back or should you give it to the IME expert to review and incorporate into her report? The most sensible place to start when there is any doubt is with litigation counsel. If the person who will try the case wants the surveillance held back, it is probably wise to listen. In general though, you must determine the value of using the surveillance as a surprise versus the value of allowing the IME doctor to view and comment on the surveillance. There are examples where it is more important for the IME expert to view surveillance than it is to hold the information back for trial. This is particularly true when medical causation is not an issue and the chief issue is the period of temporary total disability. Often issues surrounding the period of temporary total disability are amenable to attack using surveillance footage. Take a torn meniscus claim. The injured worker alleges that he cannot return to anything but sedentary work because standing for any length of time causes pain during the postoperative recovery period. However, you have surveillance footage that captures the claimant standing for an extended period of time without any apparent difficulty. Having the expert view the footage and comment on it may be the only way the expert will be convinced that a healing plateau has been reached. Dubious claim for permanent disability are a different story. In those cases, the effect of revealing surveillance before trial can be that the claimant will have an opportunity to prepare to address the surveillance in advance of trial, increasing the likelihood that he will be able to offer a credible explanation of what is going on in the footage. In addition, when permanency is the main issue the surveillance footage will usually not change or otherwise bolster the IME expert’s opinion. If the claimant does not have objective sign of permanent injury, the expert will find that out by reviewing the medical records and conducting the physical examination. Surveillance footage is not likely to change the expert’s opinion in any substantive way. Also, withholding the video until trial has the advantage of bolstering the expert’s opinion to the trier of fact on permanency without giving the claimant an opportunity to explain the footage away. In general, most people will want to withhold surveillance until trial unless the expert cannot form an adequate opinion without viewing the surveillance, i.e., declaring end of healing on a conceded causation claim. When in doubt, consulting with litigation counsel is the most sensible way to determine whether to use the footage. This does not answer the question of whether the surveillance is any good. If you are going to provide footage for the IME expert’s review, the last thing you want is for the report to disclose the footage without altering or strengthening the expert’s opinion. The biggest problem with surveillance is that we forget a) that people have to live their lives and b) surveillance often lacks context. A claimant is not excused from performing activities of daily living because he got hurt and has work restrictions. To the cry, “but she was carrying a bag of groceries!” comes the retort: “and who, exactly, would have gone grocery shopping if she didn’t?” At hearing the usual litany of redirect questions would elicit the following information: a) the bag didn’t weigh that much and b) I paid for it later when I couldn’t get out of bed because of the increased pain. In this fashion, that documentary of fraud and exaggeration becomes instead persuasive evidence of the severity of the claimant’s condition and the callousness of the insurer in denying the claim. In addition, if the expert views the surveillance and issues opinions based on assumptions that cannot be supported by the actual visual evidence, the doctor’s credibility will suffer. So when is surveillance footage ‘good’? When it unassailably rebuts a claim the injured person is making. This means that the grocery shopping footage is probably out unless the claimant alleges she is wheelchair-bound and is seen walking without assistance of any kind. If there is any doubt as to what the footage shows or whether it can be explained by putting it in the proper context, then it probably is not as good as you might think. To be useful, surveillance must not be subject to reasonable disputes as to what it depicts. There is no hard and fast calculus for determining what the IME expert needs to see. The general rule is when in doubt, give more information rather than less. However, in many cases what information will be relevant or germane to the expert’s opinion will be obvious. As a practical matter, just because you have a medical record or other evidence does not mean the expert needs to see it. Instead, ask yourself if the record or evidence will have any impact on the expert’s opinion. You should also rely on your IME vendor to ensure that the expert gets the records he or she wants to see. If you take these simple steps, it will help you obtain the best IME possible. Claim handlers often have access to medical records from the beginning of the claim and can identify references to prior treatment or inconsistencies that suggest the claim is problematic. Claim handlers also have the opportunity to present the injured worker with a release that can potentially allow the claim handler to obtain records that are outside of the scope of the claim but that could otherwise prove useful for the independent medical expert. As is often the case, when a claimant hires counsel the attorney typically revokes or otherwise limits the authorizations. Thus, it is important for claim handlers to obtain broad releases early on to increase the likelihood that the whole story will be told. Once an attorney is involved with the claim, she will exercise “editorial” control over the claim that will limit the claim handler’s ability to administer the claim effectively. Access to purportedly “unrelated” records can often be a critical point of analysis for the independent medical expert. One key role the claim handler plays is editor. During the course of any case, claim handlers can spot areas of concern as they arise and take actions to shape how any concerns affect the claim. A problem in a claim may trigger an IME or, if the claim handler flags it, can be useful for an expert who subsequently performs an IME. While claim handlers are not physicians, they have a wealth of experience in dealing with myriad injuries and the normal course of treatment and healing for the injuries. Thus, the claim handler knows that a person with a low back strain without objective evidence of tissue yielding or definite breakage typically heals in 6-8 weeks with conservative treatment. That same claims handler is likely to know that something isn’t right when 12 weeks have elapsed and the injured person shows little or no signs of improvement. Claim Handlers are also in the best position to catch doctor shopping, narcotics abuse, and significant inconsistencies as they occur. Scheduling an IME that flags problems and delineates the claim handler’s suspicions as soon as they arise is significantly more likely to yield a credible IME than doing so a year or more after the fact when the claimant has undergone costly medical procedures or developed a poorly managed chronic pain problem. Again, the claim handler can exercise “editorial” control over how the claim plays out so that problems are headed off before they can become intractable. Claim handlers are also like investigative journalists. Claim handlers develop a relationship with injured parties that puts them in a unique position to gauge the credibility of a claim. The claim handler will know if a particular injured party is evasive, defensive, honest, etc. and can take advantage of this personal knowledge to adopt the most effective strategy for managing the claim. This personal knowledge can also be useful for claims that move into litigation because the claim handler will be able to convey their knowledge of the claimant and other witnesses to counsel (which is especially important in worker’s compensation jurisdictions that do not have discovery). As everyone who has been involved with litigated claims knows, the claimant’s credibility is always important and often is the most important aspect of the claim. Claim handlers can use their regular contacts with claimants not only to fulfill the technical functions of adjusting the claims but also to learn about the claimant and assess whether he or she is likely to make a credible witness if the case goes to trial or hearing. Such insights into credibility may also be relevant to the analysis of the independent medical expert. The advantages of being involved with a legal claim from its inception are legion. Every claim essentially involves competing narratives. Whether a claim is paid; how much is paid; whether it is litigated or settled; and for how much it is settled are really just functions of how believable each side’s story is. Following some simple steps in the claim handling process can help shape the story from the beginning to help control whose version is most believable. It can also lead to information, be it medical records, witness statements or employment records, which may be critical to the analysis and conclusions of the independent medical expert. As the outcome of a case often turns on the credibility of the independent medical expert, these early steps can have an important impact on the overall outcome of the claim. Claims professionals form the foundation of the liability and worker’s compensation world. Every case starts with a claim handler and what the claim handler does with the case will likely have a profound and lasting effect on how the case is resolved. In essence, every claim is a story constructed out of the evidence. The claim handler’s early involvement can shape what story gets told and whose version is ultimately most credible. IMEs are an integral part of the narrative of any claim. Claim handlers can take a number of steps to increase the likelihood that the IME is consistent with the narrative. This starts with the claimant: the claim handler is the first person in the process with access to the claimant. An effective recorded statement taken soon after the injury forces the claimant to commit to a specific version of events. Because the statement is recorded, the claimant cannot later say that the statement does not accurately reflect what he said (as claimants will often do with damaging information in the medical records). In addition, the recorded statement provides the independent medical expert with a version of events that is usually more detailed than versions found in the first report of injury and medical records. Thus, if an injured worker changes the history of injury over time, the independent medical expert will be able to contrast the subsequent inconsistencies with the recorded statement (which is often the most credible version of events because of its proximity to the accident). Also, the claim handler can ask questions about prior claims, injuries, and treatment to the same body part. If a claimant is not forthright about the prior medical history in the recorded statement, he or she will appear to be evasive and untruthful when the prior history eventually comes out. And if a claimant is forthright, the claim handler will get access to potentially valuable information for the IME expert to review. Either way, the claims handler can provide additional useful information to the independent medical expert. Claim handlers have access to the employer and witnesses from the time a claim is reported. In worker’s compensation claims, the employer can provide valuable information about the circumstances of the accident and the injured worker’s job duties which helps to gauge whether the claim is credible or not. Also obtaining witness statements early on can establish a concrete and credible history of injury not subject to the vicissitudes of memory over time. In addition, obtaining witness statements early on is important because witnesses are frequently difficult to locate later in the litigation. Having a concrete and credible history will help ensure that the independent medical expert has the best information available and that his opinion cannot be impugned by appeals to credible, alternate versions of events. As you know, we at Medical Systems strive to practice the highest degree of honesty, truthfulness, reliability and fairness in every aspect of our work and our client relationships. It’s what you have come to expect from us and we continue to seek out and deliver our best work because our relationships matter to us. We continually practice quality measures through every aspect of our process; from hiring the best people, consistently focusing on ethics and excellence, and routinely practicing “quality control” reviews of work produced to ensure the best work is presented. This work ethic has, and will continue to be our commitment to our customers, our doctors and our staff. You know we produce quality work, but you may not know we constantly put ourselves through a checks and balances system throughout our work process to deliver the best results. This is true from the very beginning of scheduling to the quality assurance of end result reports. It is important to all of us that you are receiving the very best work product we are capable of giving because our relationships with you, our doctors and our staff are held in highest regard. When it comes to the quality assurance with doctor reports, we work meticulously to preserve the integrity of the reports and the doctor’s opinions because we know getting it right builds trust. Our detailed quality control system involves review of work product by the doctor and multiple Medical Systems personnel to assure the highest degree of quality is maintained to produce the results our customers need and rely on. Providing you with honest, truthful, accurate IMEs is our top priority and our continued commitment. We pride our reputation for accurate, reliable work product and work hard each and every day to make sure we’re getting it right and earning your trust. Earning that trust is the driving force for all of us at Medical Systems to do our best. We will always put ourselves to the test in order to deliver results that are fair, truthful and reliable. Because at the end of the day, we know you count on us to get it right. Our commitment is to do everything we can to deliver quality results because we value you and all our relationships. The IME report can serve several functions, but there is one thing common to every IME: the doctor makes the difference. So how do you choose the best doctor for your case? The reason for seeking the IME will be an important consideration. If causation alone is the issue, then you may want an expert who is skilled at analyzing mechanisms of injury or physical job demands analysis. Let’s say it is indisputable that the examinee needs a knee replacement and the only issue is whether repetitive job activities contributed to the claimant’s knee condition. In this case, you may want an occupational medicine specialist who has experience with job demand analysis and has studied the effects of repetitive activities on the development of osteoarthritis. On the other hand, if the reasonableness and necessity of treatment is a major issue in the case then you will want to have a specialist qualified to address treatment. Let’s say a lumbar fusion has been recommended but seems likely to fail for some identifiable reason. In this case you will want a spine surgery specialist who can credibly explain the reasons why the proposed surgery is likely to fail and is thus contraindicated. Once the purpose of the IME has been identified, what are other considerations in determining the best expert? Several strategies can be used. First and foremost is the requester’s experience. Each claims and legal professional will have her own idiosyncrasies and practical experiences when it comes to IME experts. This combination of experience and preference is the chief guide most claim professionals do and should use in choosing an expert. You don’t want to reinvent the wheel: if you had a good experience with an expert on a similar claim in the recent past, you probably don’t need to expend mental energy and productive time searching for another expert. Use the one you already know. Unfortunately, we run into unique or otherwise unusual situations for which an expert is not immediately obvious to the claim or legal professional. In this case, the investigation should start closest to home and gradually expand outward. Thus, the next step would be to consult one’s colleagues. In any claims department or law firm, the chance of encountering a wholly novel claim is relatively small, which means someone in the department or the office has probably dealt with a similar situation in the past. Consulting with peers is an efficient way to find the right doctor for an unusual claim. This step, when it is successful, has the built in advantage of having evidence to support the decision. For example, if a complicated neurological condition such as syringomyelia is alleged to have arisen from an accident, the appropriate expert may not be immediately obvious. 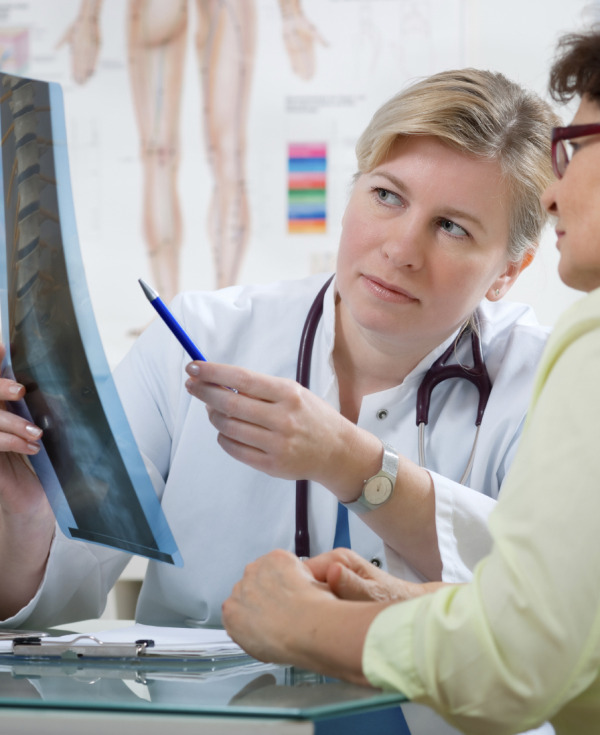 Most orthopedic spine specialists and even the majority of neurosurgeons are unlikely to have experience with this condition. Nevertheless, in a large claims department or a law firm there is a decent possibility that someone has encountered a similar condition in a prior claim and used an IME. If a similar claim exists and the IME was good, then the query should probably be over. If a survey of one’s peers still does not give the claims professional a satisfactory recommendation for an IME specialist, one may wish to consider the nature of the case and contact an attorney. In most claims, the ultimate disposition would be a trial, whether in an administrative or court setting. Hence, there will be issues to consider that relate to the possibility that a claim will not settle and will end up before a judge, jury, or administrative law judge. In this case, an attorney can provide valuable guidance with respect to qualified experts that will be credible in the particular litigation forum. An expert that might be well-suited for a personal injury claim could be ill-suited for a worker’s compensation claim or vice-versa. Practicing attorneys with whom you have a relationship can be an enormously valuable resource to use when deciding on what IME expert to use. Your IME vendor can also be an excellent source of information regarding what doctors specialize in or have a clinical interest in a particular condition. Your IME vendor should have the tools necessary to identify the right expert. The best vendors actively recruit doctors to offer the widest range of specialists possible. In addition, when the best vendors vet their experts, they identify and note each expert’s specialties and areas of clinical interest to make the choice easier for you. The best vendors also schedule countless IME’s for many different clients, so there is a good chance that the vendor has run into a similar condition in the past and can recommend a physician based on the earlier case. Finally, the best vendors will be sensitive to your requirements and will tailor any recommendations so that the doctors put forward will prepare a report that meets your requirements. At Medical Systems we strive to be a resource for you. We have a wealth of knowledge and experience that we put at your disposal. If you have a claim, chances are we’ve seen one like it before. We know what’s worked in the past and we share that information with our clients. And we get to know our clients so that we can match the expert that not only has the right experience but also meets your specific needs, be it turnaround time, style of writing, or type of analysis. While there are no guarantees, we will do our part to ensure that you choose the best and most qualified expert for your claim. Choosing the medical expert is a critical decision in the life of your claim or case. This is true in every case, but can be especially true in some situations where you may be bound to your selected expert through the entire case. Regardless, be sure to consider all the issues on your case, the medical questions, and the purposes of the report, and also use all available resources to ensure that your choice of medical expert is the best possible option. The assumptions need to be teased out before the fact of possessing a hunting license can be used to infer less disability than alleged. Take the following hypothetical: a relatively young person who is right-handed alleges a disabling work-related right shoulder injury (rotator cuff and SLAP tear) that prevents him from returning to his former occupation that requires he be able to lift up to 100 pounds to his waist occasionally and 15-25 pounds above his shoulder frequently. In the course of the investigation, the claims professional discovers that the employee obtained a license enabling him to hunt deer in Wisconsin with a crossbow. The claims professional considers this to be a red flag and evidence that he is not as disabled as he claims. She sets up an independent medical examination and informs the expert of this fact, expecting it to be significant. The question we must consider is whether the employee’s crossbow hunting license is in fact evidence that he is not as disabled as he alleges. The first thing we need to know is a bit about crossbow hunting in Wisconsin. Until 2014, the only persons who could obtain a crossbow license to hunt deer were persons with a physical disability that prevented them from being able to use a vertical (and typically compound) bow. This should immediately give us pause in our analysis since it suggests that the employee’s license very well may have been obtained because his right shoulder condition prevents him from using a standard vertical compound bow. This possibility is bolstered when one considers that the draw weight (how many pounds of force are required to draw the string back) on a compound bow for an average-sized man will be around 60 pounds. For a right-handed shooter this puts a tremendous amount of stress on the right, or draw-hand shoulder. But what about dealing with a deer that has been shot and killed? Wouldn’t that be physically difficult? It is true that most whitetail deer killed in Wisconsin will weigh over 100 pounds, with some bucks tipping the scales at well over 200 pounds. Obviously field dressing, dragging a deer out of a field or woods, and lifting into a vehicle would require significant effort. However, we are again making assumptions about what physical activity the employee is doing. We must consider the possibility that the employee uses a four wheeler to get to his hunting location, as many hunters now use four wheelers. We must also consider the possibility that a hunter with a four wheeler also has a power lift on the vehicle to help get the carcass off the ground and onto the four wheeler. In addition, we must consider the possibility that the employee hunts with other people and will have assistance if he makes a kill. The point is that we cannot infer from the employee’s license to hunt deer with a crossbow that he will engage in physical activity exceeding his alleged level of disability. The above scenario demonstrates the importance of not only knowing the facts of a claim but also of knowing what those facts mean. Without a clear understanding of what the facts mean, one can misinterpret how the facts effect the claim. In the above scenario, it is possible that the claim could be considered suspect based on the assumption that a person seeking a hunting license is probably less disabled than they claim to be. However, knowing a bit more about hunting suggests the fact that a person who claims to have a disabling shoulder injury and seeks a crossbow hunting license is probably behaving consistently with the alleged disability. Not drawing out the most reasonable inferences from the known facts could very well compromise one’s ability to effectively administer a claim. Investigate carefully, but know what the facts turned up in the investigation really mean. Language Matters: When Is a “Tear” not a “Tear”? The language we use to describe various medical conditions impacts how the conditions are viewed in the medicolegal context. Some of the common culprits include “tear,” “herniation,” and “edema.” The everyday understanding of these words suggests to readers of medical reports that they are the result of acute injuries rather than the normal result of aging. Take for example the word “tear,” which is frequently used to describe the condition of tendons, ligaments, and meniscuses. To the ordinary reader, if some says that they “tore” a tendon or have a tendon “tear,” the immediate image is something akin to paper being torn. In many tendon “tears,” nothing could be further from the truth. Instead, many tendon “tears” are actually degenerative in nature, resulting from the normal effects of time and aging on the body. Medical experts and claims professionals should be more precise in describing such conditions so that it is clear to the ordinary reader that the condition is degenerative rather than the result of an acute injury. MRI scan reports and common medical lingo frequently utilize the words 'tear' when describing the disruption of tissues and structures found on diagnostic imaging or at times of surgery. However, for the most part such language is misleading, manipulating the mind of the reader to understand that some sort of traumatic event is responsible for the 'tear' or 'torn' rotator cuff, event in the absence of any objective evidence of trauma having occurred. In the examinee's case, although her diagnostic reports indicate such language, I find it better to use the word 'disruption' which avoids a traumatic connotation. Over time, tendon structures deteriorate, breakdown, and become disrupted as a usual and normal consequence of the aging process. This is what has occurred in the examinee's case. No injury per se is medically determined. The proof that this careful attention to language matters: the Commission concluded the employee’s condition was not work-related and dismissed her claim.